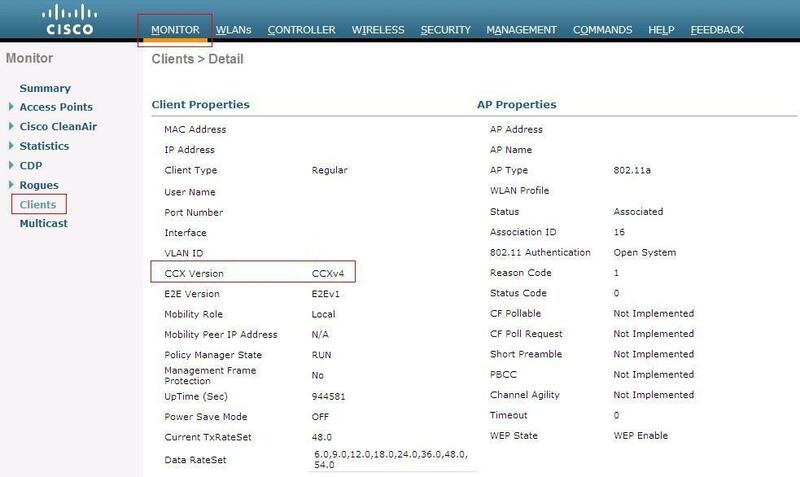 2.4 GHz | CCIE or Null! Thought I would shift gears to wireless for a little bit. 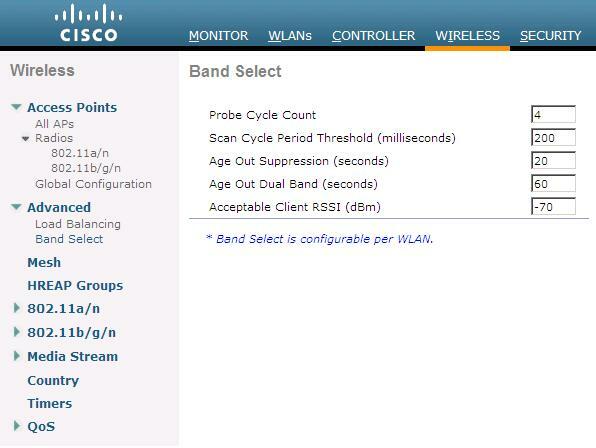 Cisco introduced a feature some time ago called band select were the dual band clients have a better chance at joining the 5 GHz radio compared to the 2.4 GHz range. This is mainly due to the influx of dual band clients nowadays and how the 2.4 GHz range is generally over utilized. 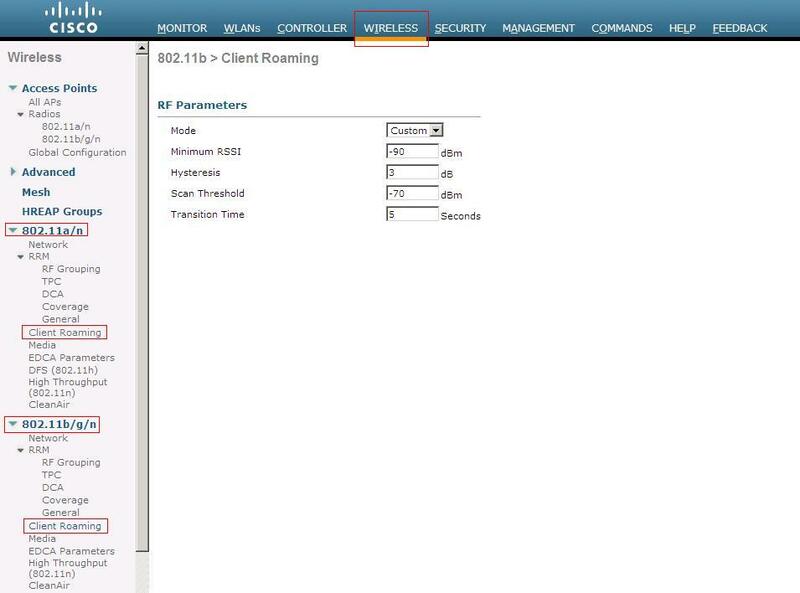 The Cisco accomplishes this is by ignoring/delaying the first few 802.11b/g probe frames in hopes of it accepting the 802.11a probes because it will appear to have a quicker response time. I would also like to point out that this feature only works when the client first associates to the Access Point. So this feature will not kick in on the fly when the AP notices a high client count or high channel utilization. Plus this feature only goes in one direction from the 2.4 GHz range to the 5 GHz not visa-versa. So this is not a load balance mechanism. Now you’ve only got a few settings to configure here, but you still need to take care with these settings like anything on the network you are going to configure. Probe Cycle Count, tells the AP how many probe beacons/frames to ignore/delay. 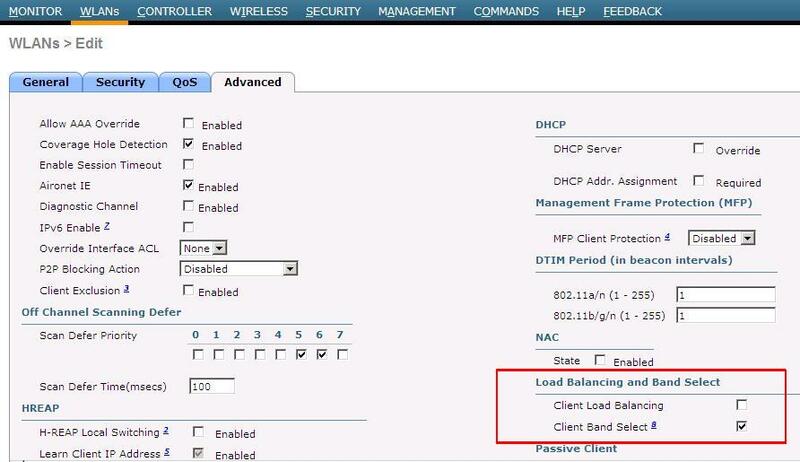 Scan Cycle Period Threshold tells the AP how often in milliseconds it can expect each probe from the client, this setting can be changed depending on the client Wi-Fi cards you are using in your environment and how often the send out probe requests (Check vendor documentation for this). Age Out Suppression, this is the time-out for when the clients will be declared as “new” and may have their probe frames delayed/ignored again. Age Out Dual Band is the very similar to age out suppression, however age out dual band only applies to dual band clients so it will not effect everyone. Just keep in mind something will need to happen for the client to disassociate and re-associate with access point. Acceptable Client RSSI just states the minimum RSSI value a client registers for it to be eligible for band select.